Lawn maintenance doesn’t have to be costly and complicated. With the right equipment, your property will appear neat and lush with greenery. A significant part of maintenance is irrigation, but did you know that you don’t have to manually water your lawn all the time? 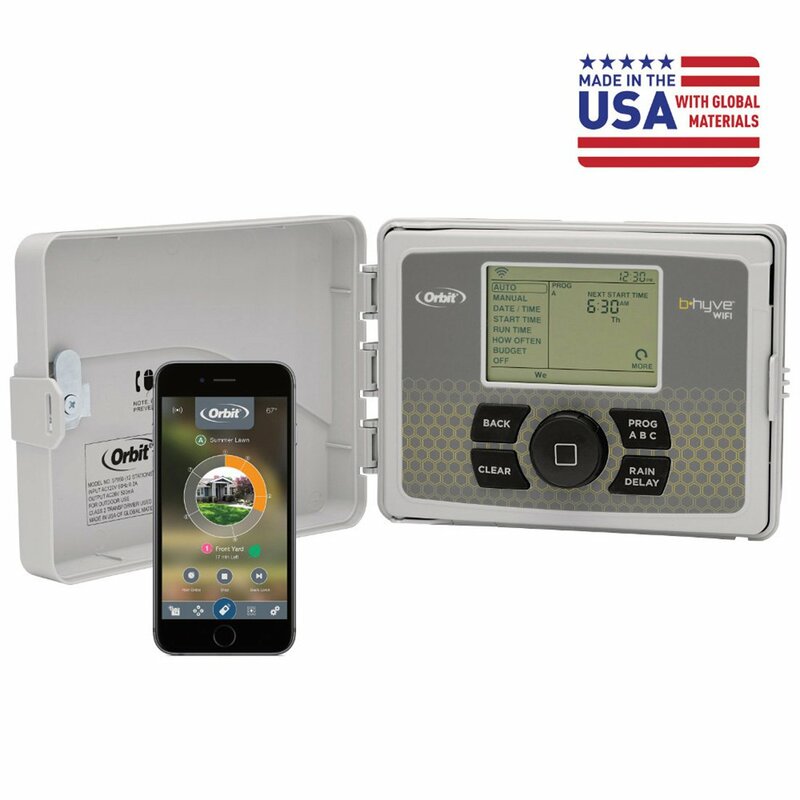 With the best smart sprinkler controller, you won’t only be saving time but also money in the long run. As long as you pick the right model for your lawn, lawn irrigation will cease to be a tiring chore. Who Should Get a Smart Sprinkler Controller? If you have a sprinkler system that’s either manually operated or with an electronic timer, you should definitely consider switching to a smart sprinkler controller. This is a machine that takes advantage of modern advancements in connectivity. Using weather data gathered in real time, this smart controller will adequately determine just how much water needs to be applied to your property. Of course, you have the option to not replace your current controller if you are okay with having to prepare the irrigation schedule using a small display screen and various confusing buttons. In contrast, a smart sprinkler controller can be controlled with the use of a laptop or a smartphone. You could be anywhere in your house or even in another region and you can still view the settings as long as you have the app and an internet connection. In doing so, you can save money. If the controller detects it will rain on that day, your sprinklers won’t be used to release an unnecessary amount of water. Saving water is a huge benefit for many people, especially considering that 40 states in the U.S. are expected to experiences water shortages in 10 years. In fact, the Environmental Protection Agency (EPA) noted that smart controllers with a WaterSense label on them have the potential to save more than 8,000 gallons of water each year for each household. Ideally, 120 billion gallons of water and $435 million in costs will be saved annually if every family in the US switched to a smart sprinkler controller. Upgrading from an electronic timer or a manual sprinkler system does not even mean it’s more complicated to use. A smart sprinkler controller is designed to have simple controls and software that anyone can understand in no time. Furthermore, this machine can connect with other smart devices including cameras and smoke alarms. Thus, smart sprinkler controllers can help improve security features in your home. An important thing to note, however, is that smart controls only work with sprinkler system placed underneath the ground with wired controllers. This machine cannot be used with hose timers or battery-operated controllers. 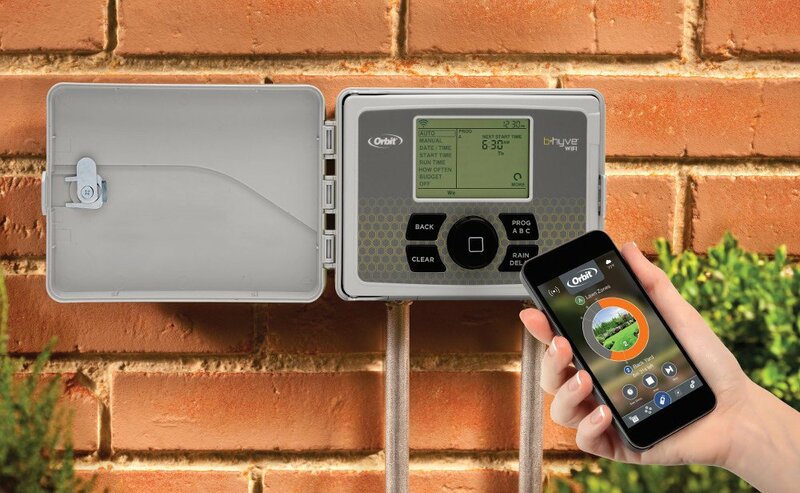 Before getting yourself a smart sprinkler controller, it would be wise to take note of three factors that will ultimately determine which model you will get: location, zone quantity, and the number of programs. 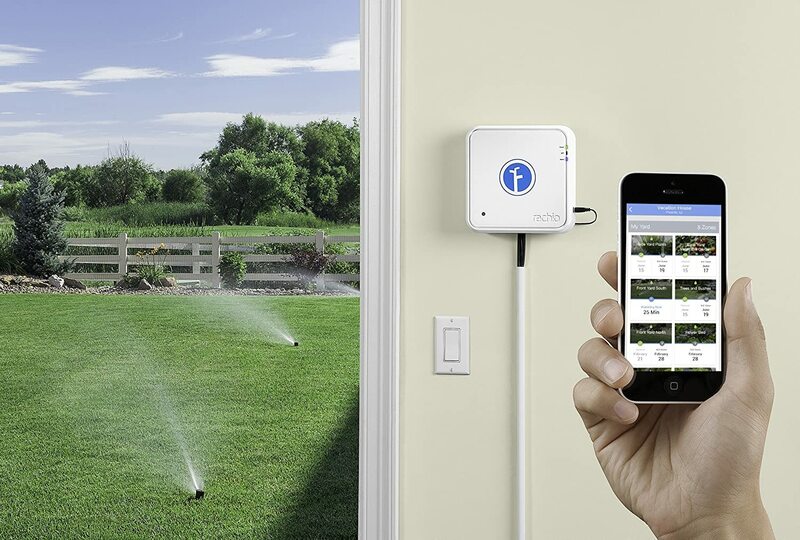 A smart sprinkler controller can either be installed indoors or outdoors. An indoor model is not resistant to weather, and it is built to be plugged into a power outlet. Specifically, an indoor sprinkler controller needs 110 outlet volts, which will then be converted to 18 volts by a transformer. If you want to install the controller in your garage, closet, shed, or on a shaded patio, you should get an indoor variant. On the other hand, an outdoor sprinkler timer is both sturdy and weather-resistant. Instead of having to be plugged into an outlet, this type should be hard wired for power. In this type, the transformer is found within the weather-resistant casing. What’s interesting is that since an outdoor model typically has more features than the indoor variants, people would still install it indoors using a three-pronged plug and power cord. First of all, what is a zone? Well, this is the term we use to refer to the sections in your property that are determined by a sprinkler system upon installation. Once the area has been divided into these zones, a sprinkler timer will designate one station to handle one zone. The average household is has a property with two to nine zones. On the other hand, commercial or public areas are divided into as many as 48 zones. Thus, it’s important to know how many zones a smart sprinkler controller can accommodate before you buy one. If you want variety in how your lawn is watered, you should get a sprinkler controller that offers the largest amount of program designs. Some people will be okay with models that only have two program designs. However, you would need more than a couple of program designs if you want several stations operating using different schedules at the same time. Thanks to this type of sensor, a smart sprinkler controller can precisely determine if and when irrigation should be conducted depending on the precipitation it senses. This is a safety feature that can involve an installed mechanism that prevents short circuits or a diagnostic program that analyzes fluctuations in water usage. If your area is prone to power outages or occasional brownouts, it would be wise to get a smart sprinkler that contains a backup battery. If this is not included, an alternative to look for is a non-volatile memory that will remember the designated program even when it runs out power. ​This smart sprinkler controller from Rachio works well with Amazon Alexa, which allows you to operate it using a voice command. It’s advanced to the point that you can control distinct property zones and order rain skips with more than 100 voice commands. 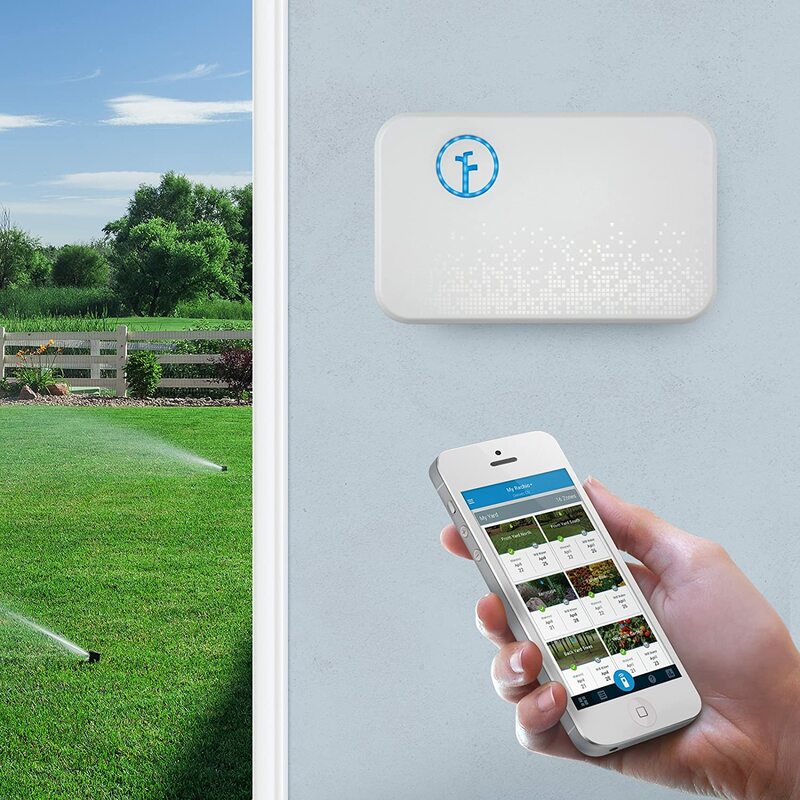 Likewise, the sprinkler system can be managed using a smartphone, tablet, or any other similar device upon downloading the Rachio app. Aside from Alexa, this Rachio smart controller can be connected to Google Home, Nest, IFTTT, and to other automation systems. The second generation of this eight-zone smart sprinkler controller from Rachio can automatically conduct a rain skip depending on the local weather data it instantly gathers. 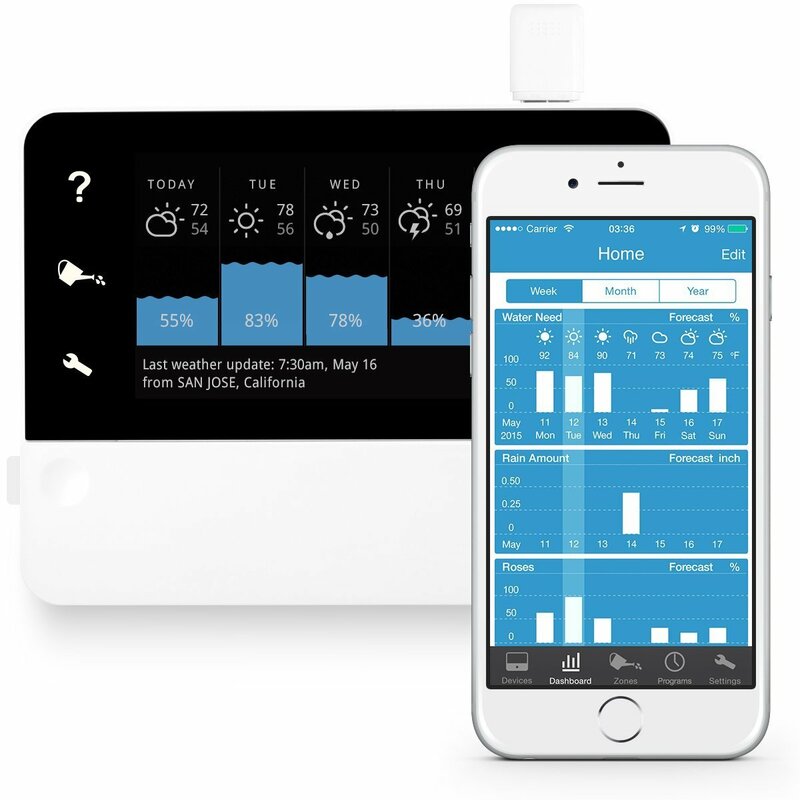 In fact, Rachio also takes note of soil type, plant type, and sun exposure in each zone. Thanks to these pieces of information, the watering schedule is quickly adjusted depending on the season. 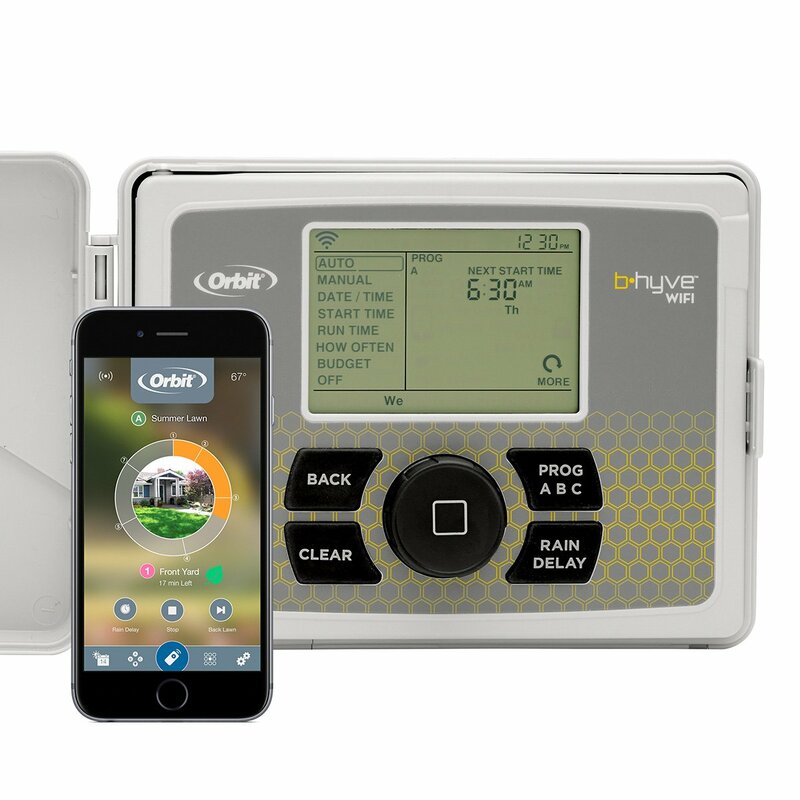 ​The smart sprinkler controller from Orbit works with various operating systems including Android, iOS, and on web devices. You have the option to program the timer yourself using the app with the Alexa voice command or directly use the timer itself. The WaterSense-approved Orbit 57946 B-hyve includes a weather-resistant case, and this smart controller was made in the United States using materials assembled from around the world. You can install the timer indoors or outdoors depending on your preferences. ​The second generation model of the Touch HD-12 smart sprinkler controller relies on multiple sources to capture the most accurate weather data every six hours. It gathers data from the National Oceanic and Atmosphere Administration (NOAA), the Norwegian Meteorological Institute (METNO), and Weather Underground (Wunderground). For a precise look at the local weather, the Touch HD-12 can connect to Netatmo Weather Station or to any Personal Weather Station (PWS). Similar to the two earlier smart sprinkler controllers, the RainMachine 2nd Generation Touch HD-12 is WaterSense certified by the EPA. This makes you viable for rebates from the local water municipality in the long run. 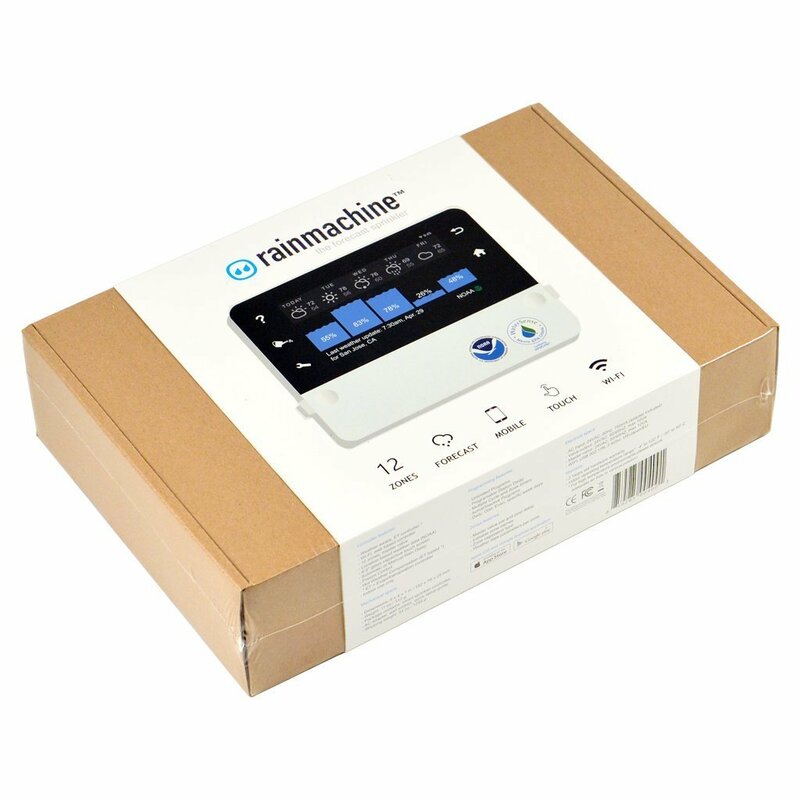 ​Up next, we have another smart sprinkler controller from RainMachine. This time, we have the eight-zone second-generation Mini-8 that also uses data provided by NOAA, METNO, Wunderground, Forecast.io, and by any Personal Weather Station. Controlling this device is possible with any Android device, iPhone device, or any Web browser such as Opera, Chrome, and Firefox. 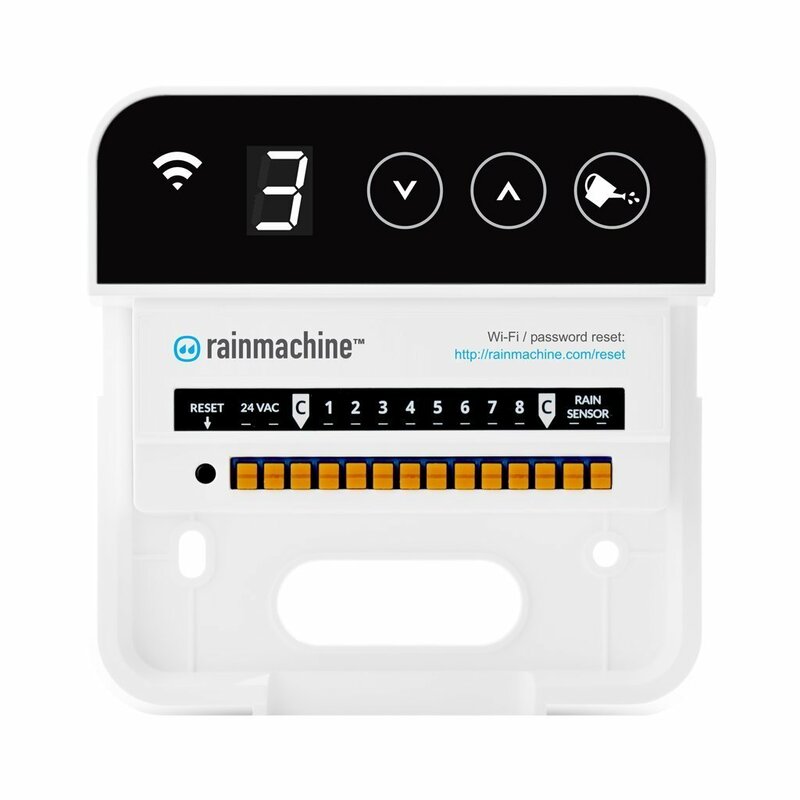 Consequently, the RainMachine Mini-8 smart controller features locally stored data for continuous operation even without Wi-Fi connectivity. The dashboard shows all the information you would need about the weather and your property. There’s an option to use your phone or tablet in landscape mode so you could view panoramic graphs filled with relevant statistics. ​Finally, we have this 16-zone smart controller from Rachio. The installation should take 30 minutes at most, but an Android or iOS device is necessary for this step. 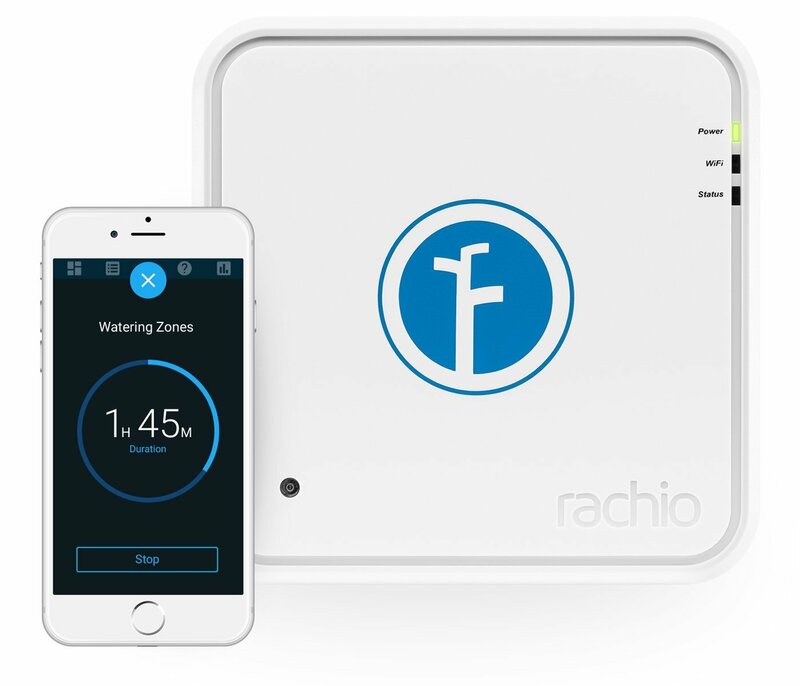 Once it’s been successfully set up, you can control the Rachio smart sprinkler controller with iOS, Android, or any web browser. 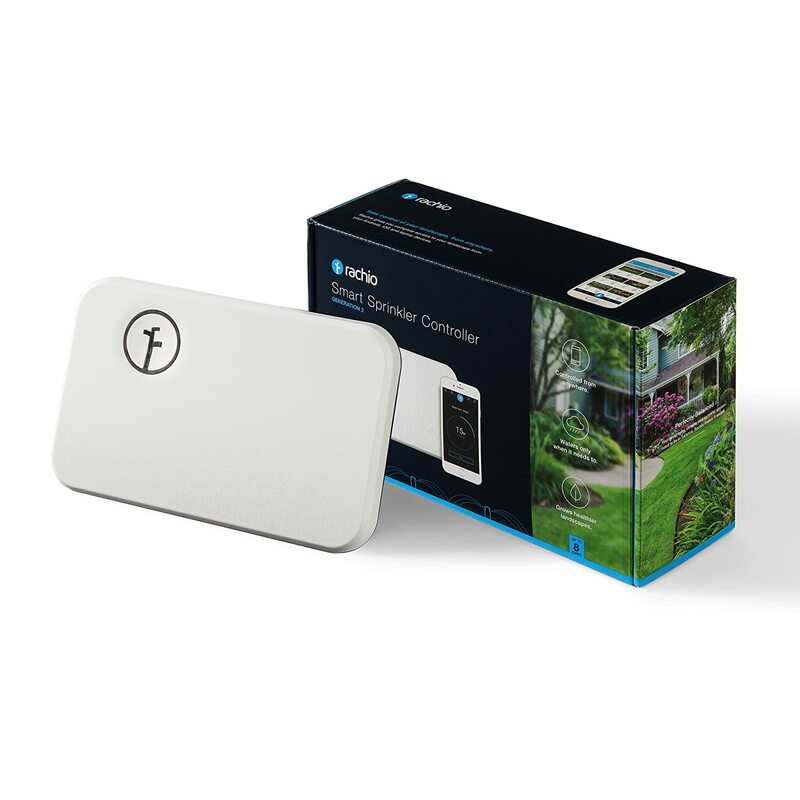 Overall, our favorite model is the Rachio 2nd Generation 8 Zone Smart Sprinkler Controller. We are always looking for a device that excels in various aspects: user interface, accurate water scheduling, security, and convenience. With this Rachio machine, we can operate the zones by just stating any of the 100+ voice commands handled by Amazon Alexa. It also helps that installation takes just half an hour. Furthermore, you do not have to rely on Alexa. If you prefer Google Home, Nest, or any other home automation system, you can use them instead. Whatever you choose, the device will use its sensors to accurately look at factors such as soil type and plant type to save you as much water as possible. We’ve never experienced any bugs or crashes with the app, and Rachio constantly works hard to provide app updates. 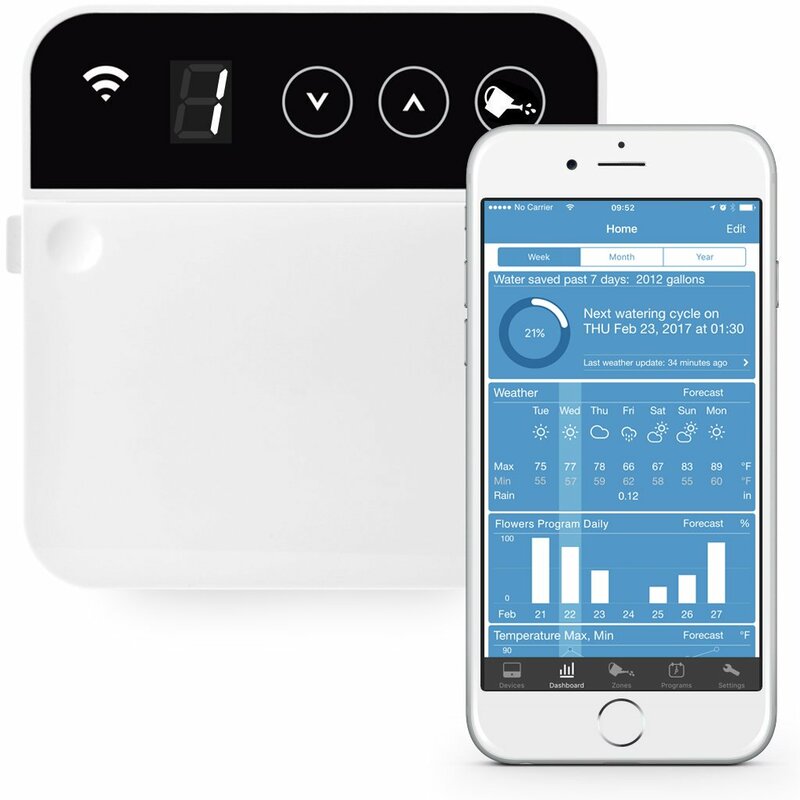 We always receive relevant notifications from the app, and we always have a secure, password-protected connection with this smart sprinkler controller.